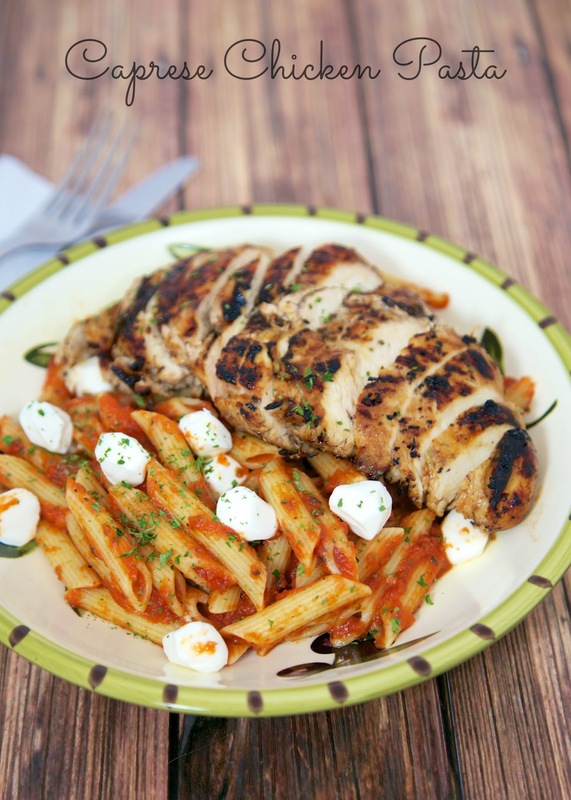 This chicken pasta has all the wonderful flavors of a Caprese salad - tomatoes, basil, balsamic and fresh mozzarella. I marinated the chicken in some balsamic vinaigrette. I let it hang out in the fridge all day so it could soak up all that wonderful flavor. While Chicken Legs grilled the chicken, I made the pasta sauce. The sauce had a few simple ingredients and came together in minutes. My favorite part of the dish might have been the fresh mozzarella. We both really enjoyed this chicken pasta. It will definitely make another appearance at the dinner table this summer! Marinate chicken in balsamic vinaigrette for 2 hours up to overnight. Remove chicken from marinade and grill until done. While chicken is cooking, boil pasta according to package directions. Drain and set aside. Puree the tomatoes until smooth in a food processor. Pour into Dutch oven. Add onion, garlic, red pepper, basil, sugar, salt and pepper. Simmer for 15-20 minutes. Remove from heat. Toss pasta in sauce. Stir in mozzarella cheese. 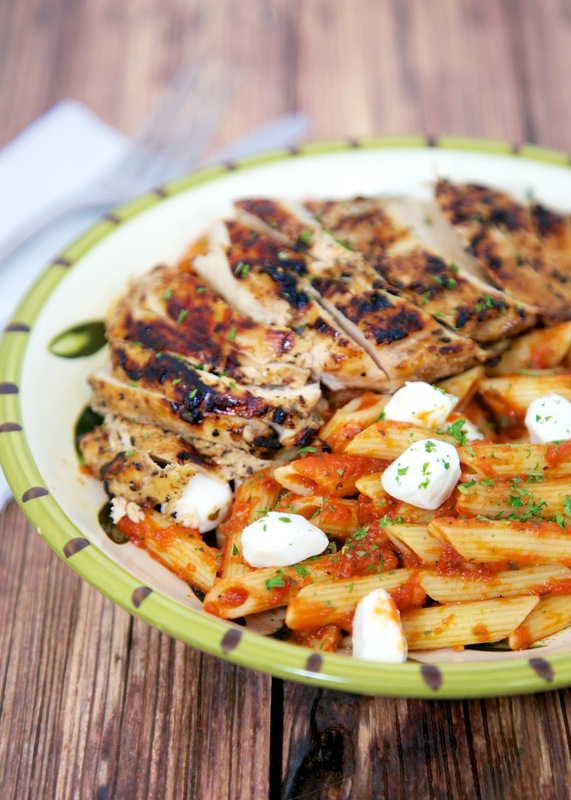 Serve with grilled chicken. Yum! Looks like a great weeknight dinner!